I took a little break last week to visit friends and family in Boston, but I'm back with something extra special for Valentine's Day. Whether you're dropping hints to your SO or want to treat yourself to something extra special this year, Baird & Baird's Shelby II is the ultimate luxury gift. 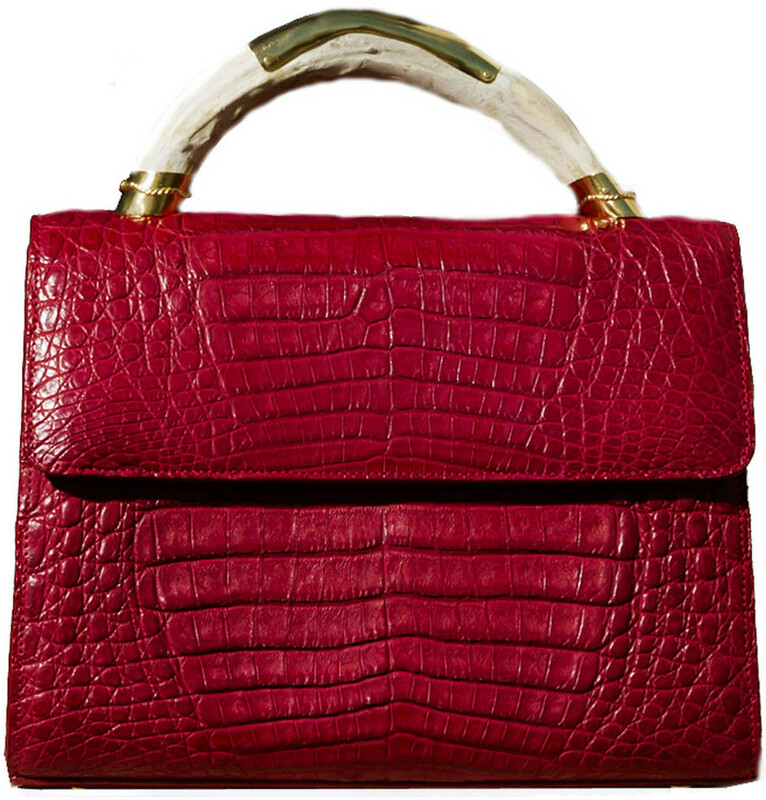 Handcrafted in red crocodile with 24k gold-plated hardware on a whitetail deer handle, this baby will run you $1,895 (eek! ), but it sure is a beauty. The Houston-based exotic skins handbag line is designed by Minnie Baird and seems to be available online exclusively at Baird & Baird's website, where you can view the full collection.